"The owner of the bank who stands to lose most. The owner is the government. The owner should be worried about what the Directors it nominated on the Board were doing," Y V Reddy said. 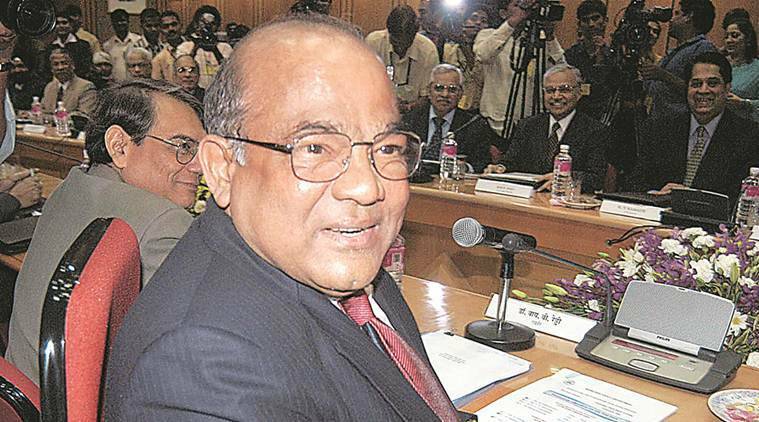 Former Reserve Bank of India Governor Y V Reddy today squarely blamed the government for the fraud at Punjab National Bank and said as the owner of state-run banks, it should be careful in appointing its nominees on these lenders boards. In February this year, Punjab National Bank detected a fraud of over Rs 13,000 crore, involving diamantaire Nirav Modi and his uncle Mehul Choksi, at one of its branches in Mumbai. “A big fraud has come to light in the recent months involving thousands of crore in regard to one particular bank. It is clear that it is a fraud. Who should be worried most about the fraud? The owner of the bank who stands to lose most. The owner is the government. The owner should be worried about what the Directors it nominated on the Board were doing,” Reddy said at an address at Shivaji University at Kolhapur. He was speaking on the topic “Keeping Banks Safe”. “The owner should be worried about the system of monitoring and control of its own investment. That should be the focus of the owner,” Reddy said. The former governor said it was the taxpayers who pays for the losses due to the fraud. “The taxpayers who have entrusted their money to the government-owned banks should be asking the government to explain why, as the custodian of their money, it failed to prevent the fraud,” Reddy said. He said though the RBIs main responsibility is financial system stability and depositors’ protection, it cannot escape responsibility of maintaining the trust of the public in the banking system. “The fraud is of such a magnitude that it affects the credibility of RBI in ensuring the trust of people in banking. To this extent, it has to review its own regulatory and supervisory practices,” Reddy said. He said despite criticism in some segments of media, RBI is held in high esteem by the people. Recently, the government has amended laws to acquire powers to direct RBI to act on the issue of recovery of dues to banks. “Actions taken by government and official statements should ideally reinforce confidence in the RBI at this juncture,” he said. RBI should be seen to command respect and backing of the government to continue to effect mergers to protect depositors’ interest, Reddy said. He said the effectiveness of RBI will be enhanced with demonstrable support from the government. Reddy said there should be clarity on the future of public sector banking.